The law surrounding DUI is constantly changing as technologies develop and new laws are enacted. People charged with DUI offenses often ask about some of these new developments in DUI law and practice and what affect these changes may have on their case. One emerging technology that has been widely embraced by Courts and Legislatures is the ignition interlock device (“IID”). This device is an object that is the size of a cell phone that connects to an automobile’s steering column. A driver is required to blow into the device in order to start his or her vehicle. The driver must also blow into the device periodically while the vehicle is in motion. If the driver has consumed any alcohol, the vehicle will be unable to start or to continue operating. This prevents drivers who have been consuming alcohol from operating a motor vehicle. Los Angeles is one of four counties involved in the Department of Motor Vehicle’s IID Pilot Program. This program requires all drivers convicted of a DUI offense to have an IID device installed in their vehicle in order to have their licenses reinstated. Drivers who have a second or subsequent DUI may be eligible for a restricted license if they have an IID installed in their vehicle. The IID must be installed and maintained an approved IID installer. Any violations are reported to the DMV and may also be reported to the Court as a probation violation. Driving under the influence of marijuana has long been illegal under California Vehicle Code Section 23152(e) VC, which prohibits driving under the influence of drugs. Recently, many legal restrictions regarding marijuana were relaxed under Proposition 64 which passed in 2016. However, while it may now be legal to use marijuana, it is still unlawful to drive while under the influence of marijuana. Many states that have legalized marijuana have experienced a sharp increase in DUI marijuana offenses and accidents, and California law enforcement agencies are preparing for an increase in these incidents as Proposition 64 becomes effective. Agencies are testing oral swabs that can measure for marijuana use, as there is no breath test that can measure marijuana or drug intoxication. In addition, marijuana can stay in a person’s system long after the intoxicating effects have worn off which may make it difficult to show that a defendant was actually “under the influence” of marijuana even though THC was found in the defendant’s blood sample. Recent United States Supreme Court decisions have limited an officer’s ability to conduct a forced blood draw when a driver refuses testing. These decisions often require a warrant, however law enforcement agencies are increasingly taking steps to obtain blood draw warrants in cases in which defendants refuse testing. This would allow a forced blood draw. Even though there may be a known BAC amount as the result of the forced draw, the DMV will still treat the incident as a DUI refusal. For a first-time DUI offender, this can result in a yearlong license suspension without the ability to get a restricted license. In addition, the prosecution can also file a refusal allegation that can add additional criminal penalties, including mandatory jail time, to the defendant’s underlying sentence. If you have been arrested for or charged with a DUI offense, it is crucial that you go over your case with a top-rated DUI attorney as soon as possible. As a former Deputy District Attorney with over 14 years of prosecutorial experience, Michael Kraut is highly respected throughout the court system as a top-notch litigator who understands the law and knows how to fight effectively for his clients. 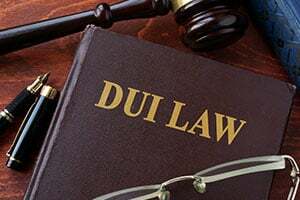 For more information about emerging DUI issues, and to schedule your free consultation, Mr. Kraut can be reached 24/7 at 888-334-6344 or 323-464-6453.